Kumbh Mela is the biggest religious gathering in the world. During the Mela, Hindus gather at the banks of river Ganges, river Godavari and river Kshipra to take a dip in the holy river water. 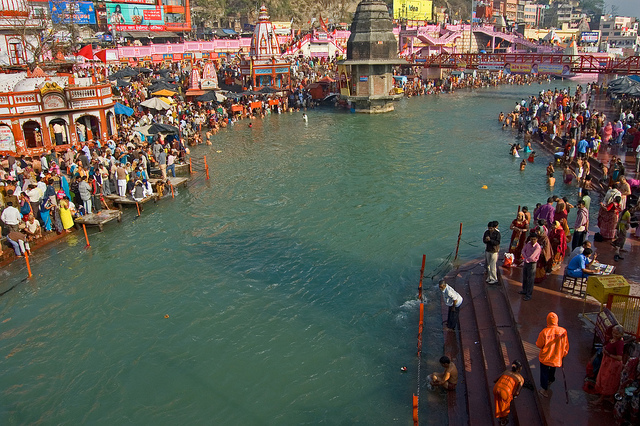 It is believed that bathing in the river water at the time of the Mela cleanses the person of all his sins. The Ardh(Half) is celebrated every six years at Haridwar and Allahabad. 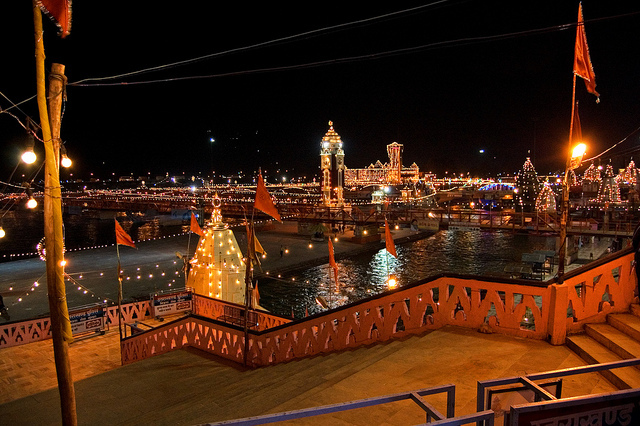 The Purna(full) Kumbh is celebrated every twelve years, at one of the four places Allahabad, Haridwar, Ujjain, and Nashik. The Maha (great) Kumbh Mela which comes after 12 ‘Purna Kumbh Melas’, or 144 years, is held at Allahabad. In 2001, more than 40 million people gathered on the main bathing day at Allahabad, breaking a world record for the biggest human gathering. Millions of people have already gathered for the celebrations as the mela is all set to begin tomorrow. At the time of Samudra manthan, the nector of immortality, or Amrut came out. All the Gods drank most of it, when last few drops were left, the demons realised how they had been fooled by Vishnu. Then there was a big fight between the Gods and the Demons. In that fight a few drops of Amrut fell on the earth, and one of the places was Allahabad. Since that time people have the notion that bathing in those places on one of the most auspicious occassion i.e Kumbh, one can attain Nirvana.